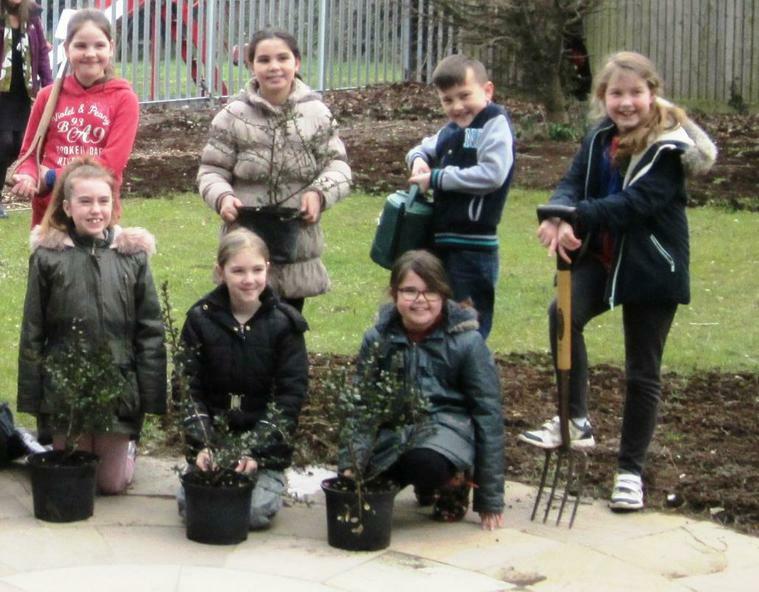 Highfields School Council gives children the opportunity to make their voices heard and feel part of the whole school community. Councillors gather views, ideas and questions from classes on a range of topics. The School Council also share ideas and hold discussions with pupils and then feedback during meetings. A non-uniform day raised over £300.00 for the Rotary International campaign Purple4Polio. 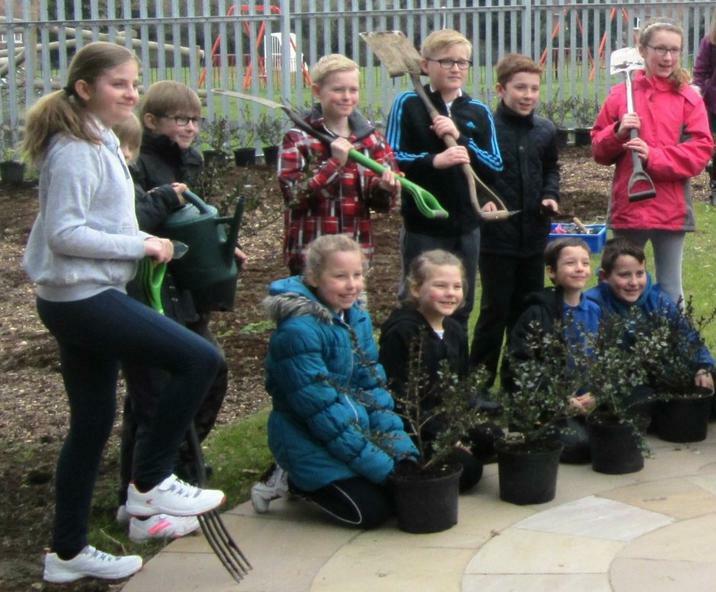 Members of the School Council had the opportunity to plant crocus bulbs donated by the Rotary Club of Manningtree Stour Valley as part of the Purple4Polio campaign. School Councillors share information and ideas from their meetings. Now that we are in the Summer Term, things in the Music Garden have really started growing. School Council members have been working hard putting wood chips on the paths. Representatives sharing ideas at a School Council meeting. School Council members, together with pupils from Years 5 and 6, participated in the Armistice Day Service in Manningtree on 11th November. Two children laid a wreath of poppies at the War Memorial, and then everyone had the opportunity to lay a small, wooden cross in remembrance of all those who have died in wars and conflicts. 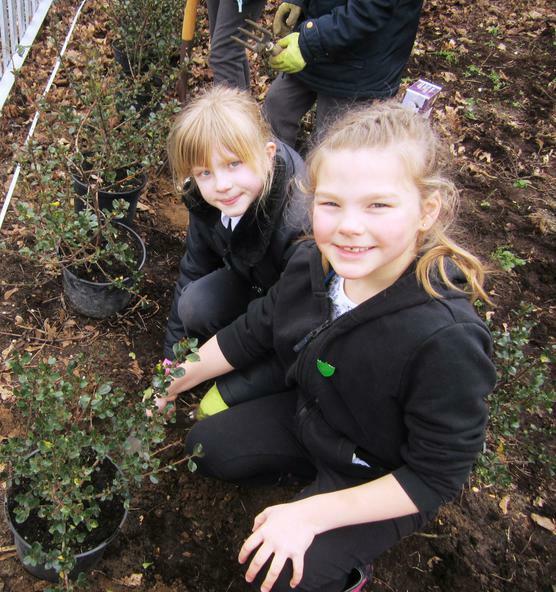 Members of the School Council have been busy planting in the Music Garden. 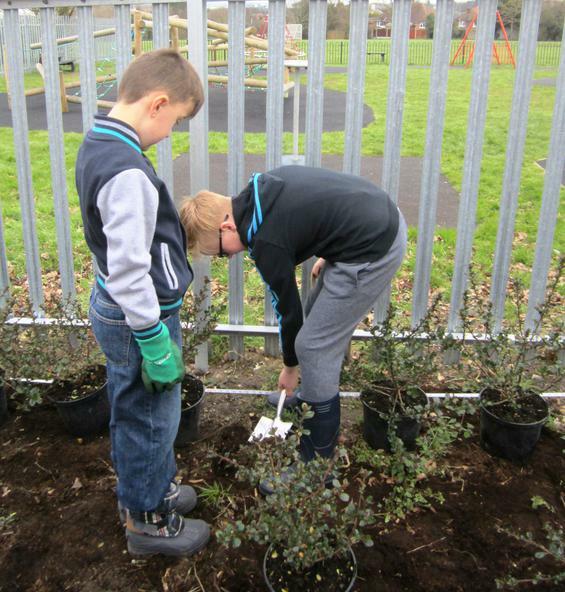 Members of the School Council were busy planting a new hedge on Friday 26th February. The hedge is part of the new Music Garden which they are developing. 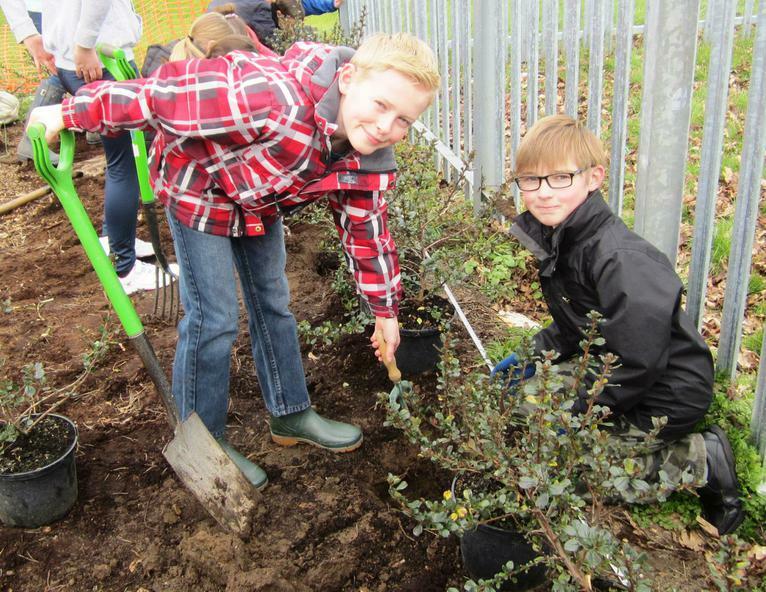 Also to David Martin Group estate agents in Manningtree, for a donation towards the cost of the hedging plants. As well as paths to explore, a hard-standing area has been added. The next phase will be to raise funds to buy plants and instruments for the garden. 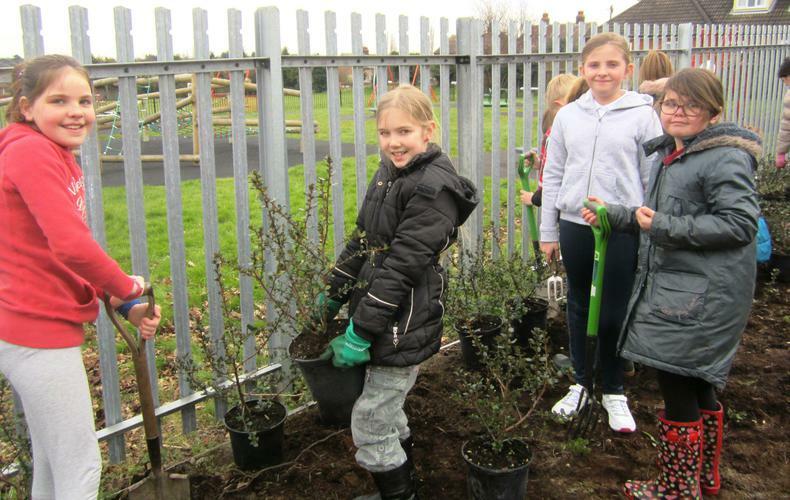 A group of volunteers from the AXA Insurance Hearts in Action programme spent the day working with members of the School Council on Wednesday 20th May. Working to clear the music garden area. We are hoping to create an outdoor music area. Currently, that part of our school field is not used much, because it is quite overgrown. and started measuring the area.